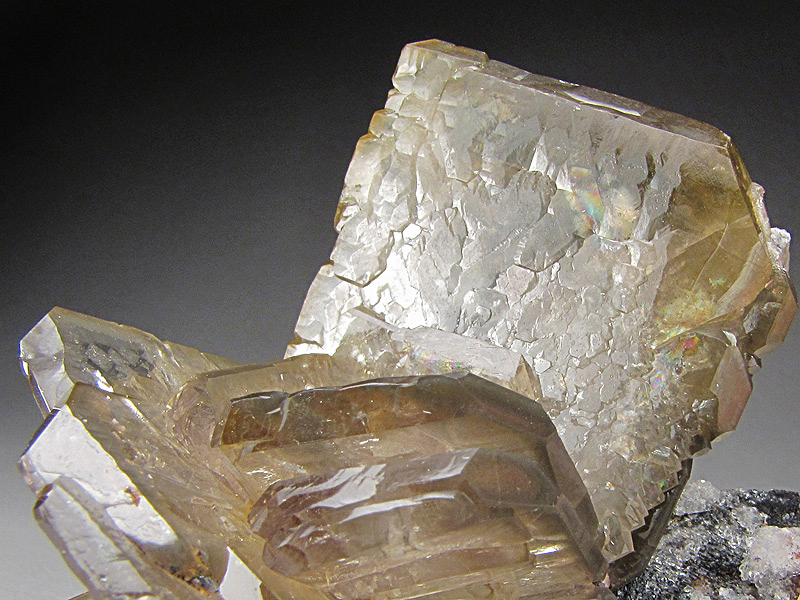 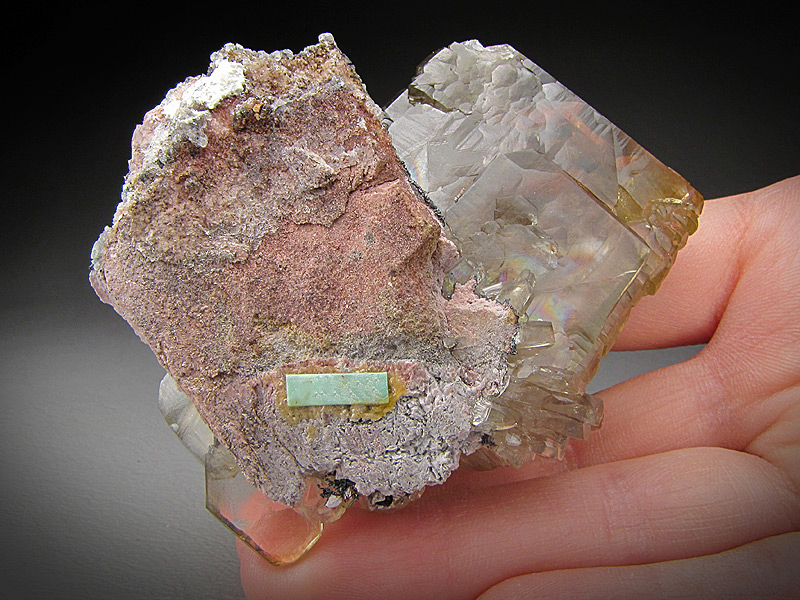 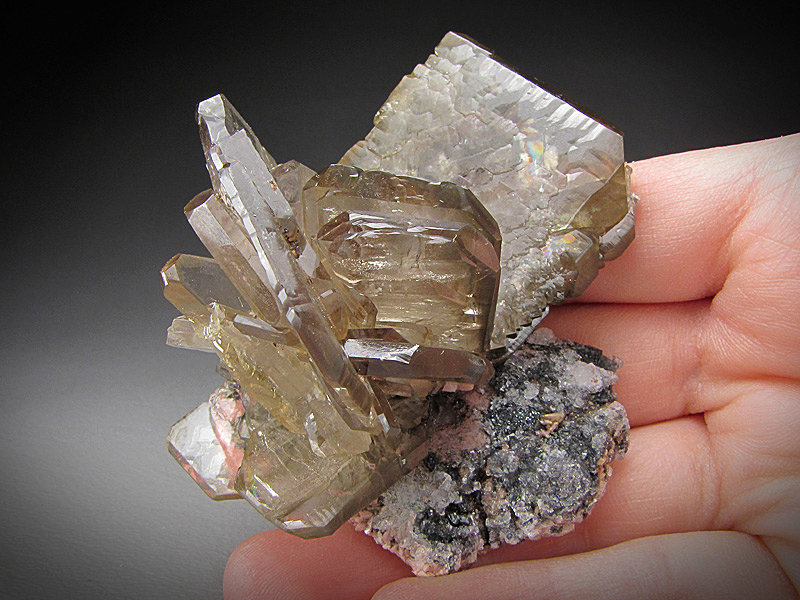 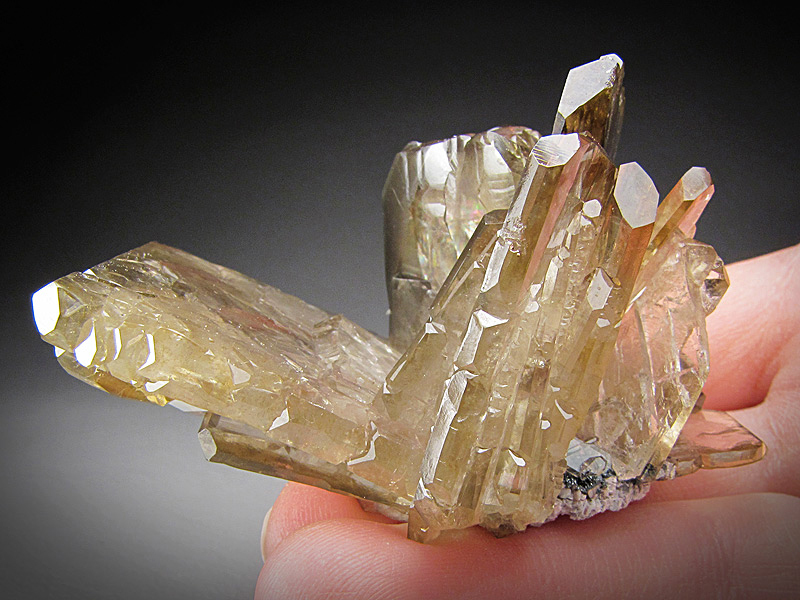 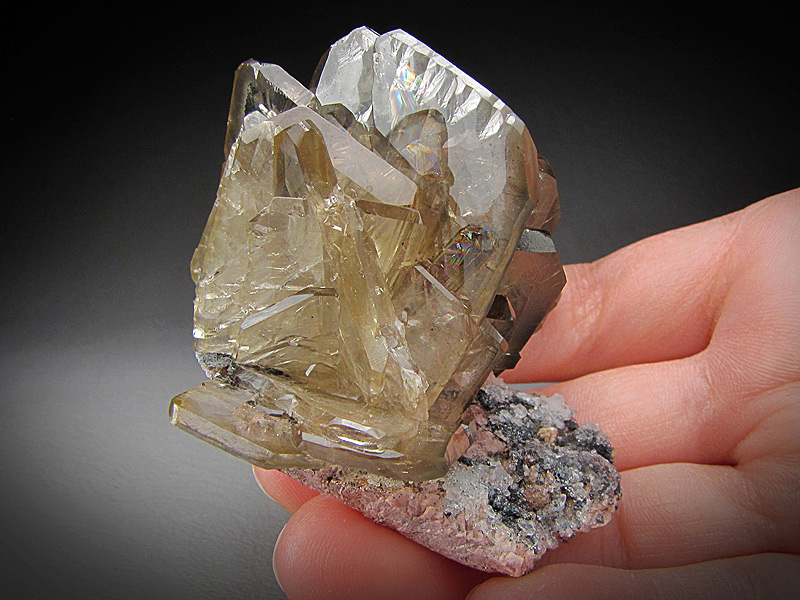 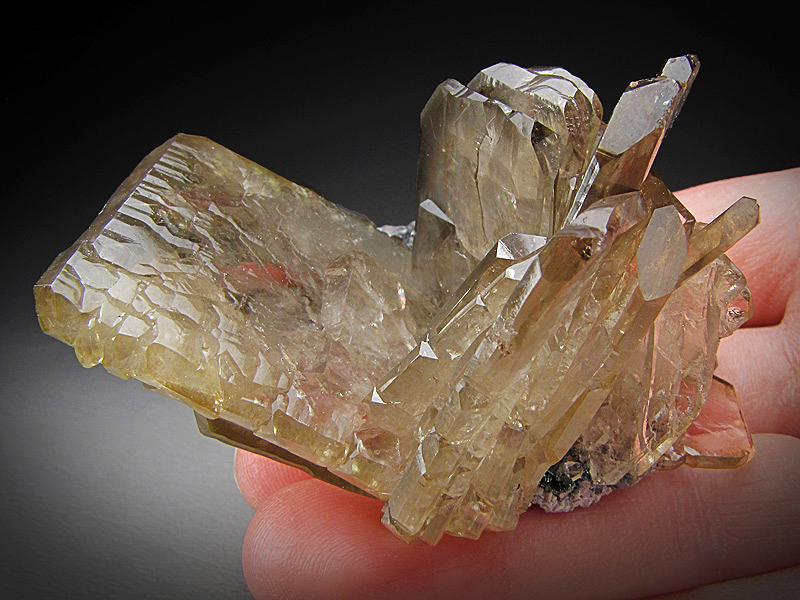 Yellow-brown barite blades climb up from the matrix of this showy piece. 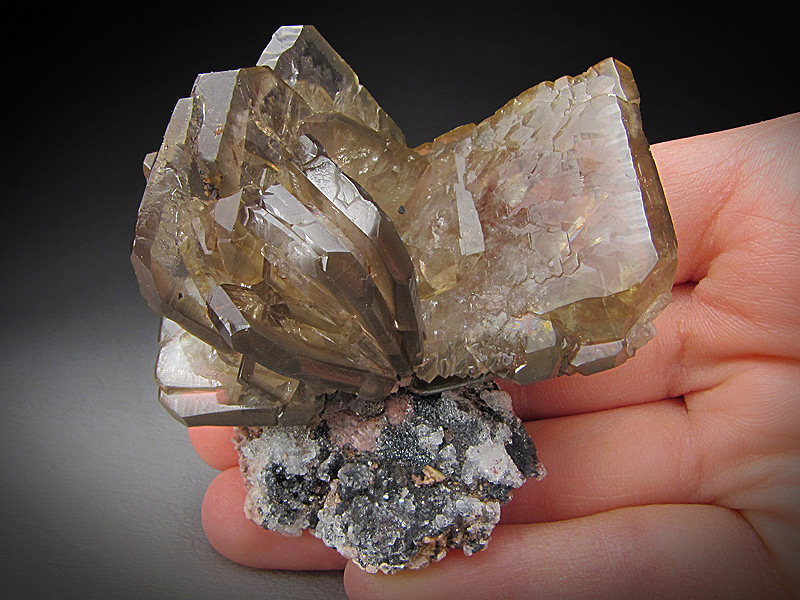 The locality for this piece is the Cerro Warihuyn, Miraflores, Huanuco Department, Peru. 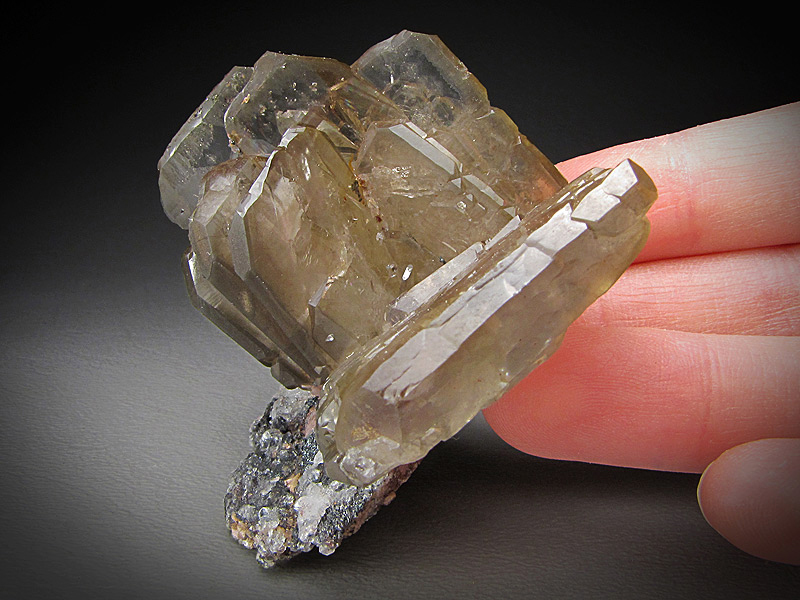 The overall dimensions are 6.4 cm wide by 6 cm tall and 4.2 cm front to back. 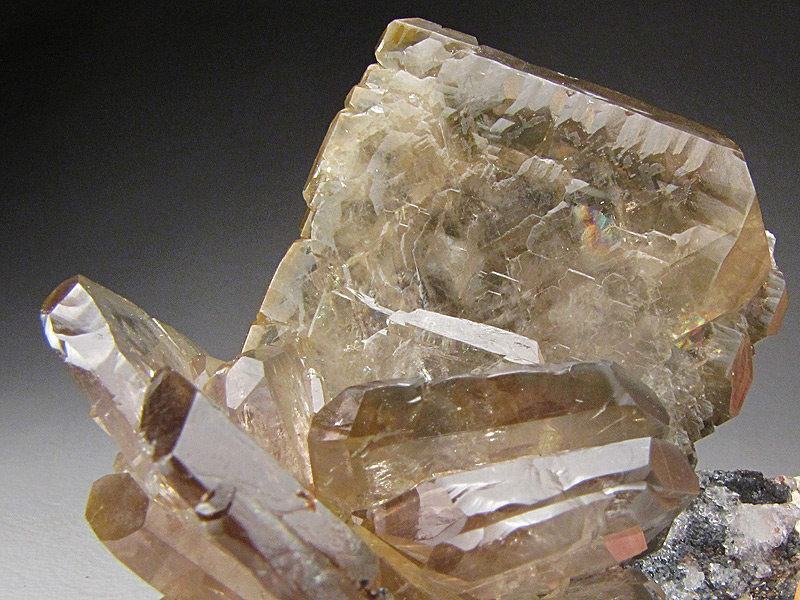 There is little damage to the piece except around the edges.